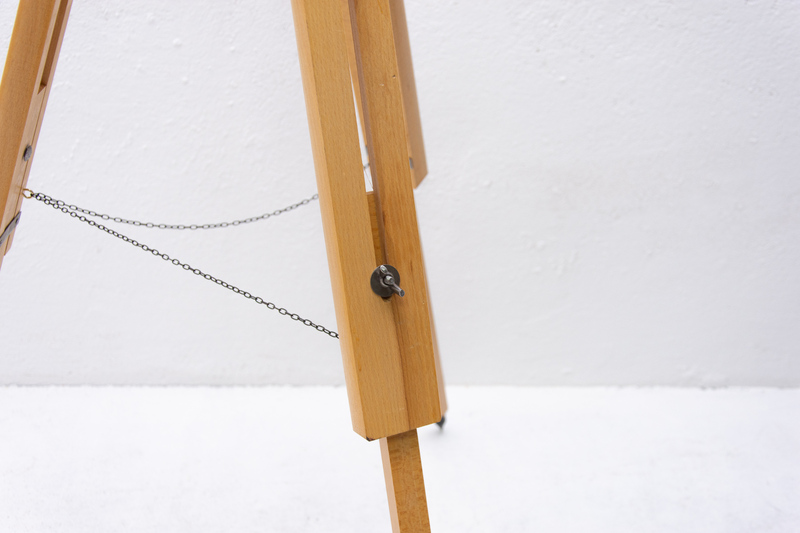 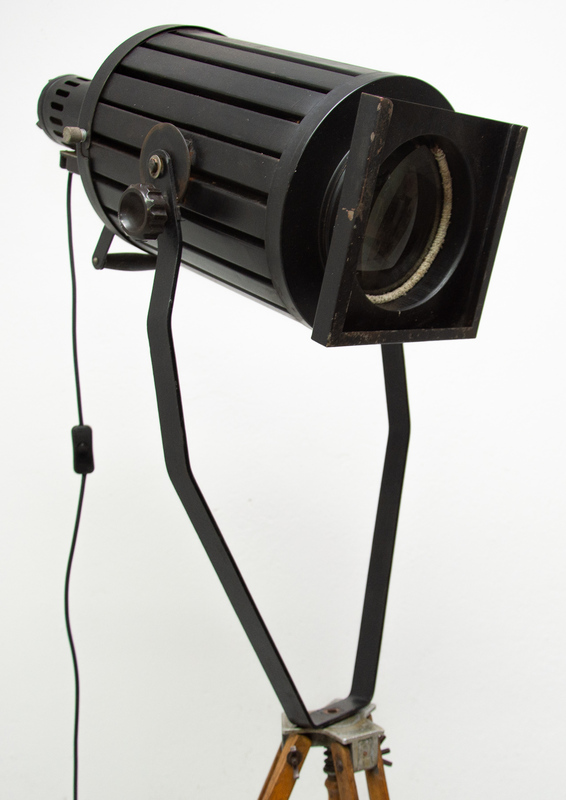 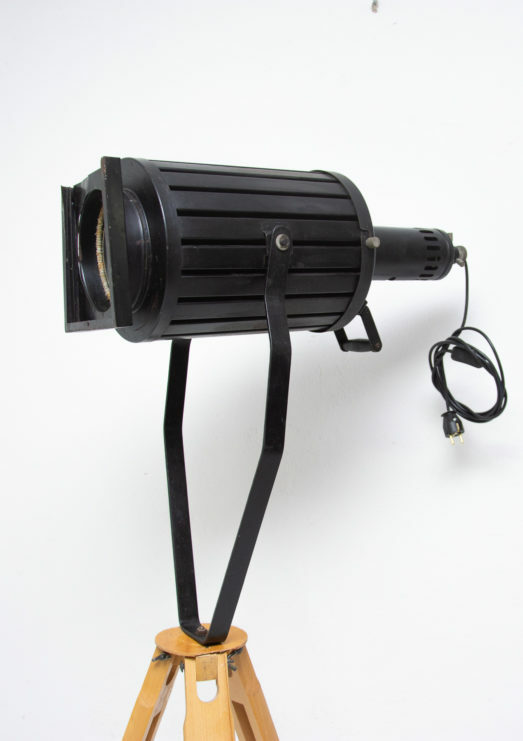 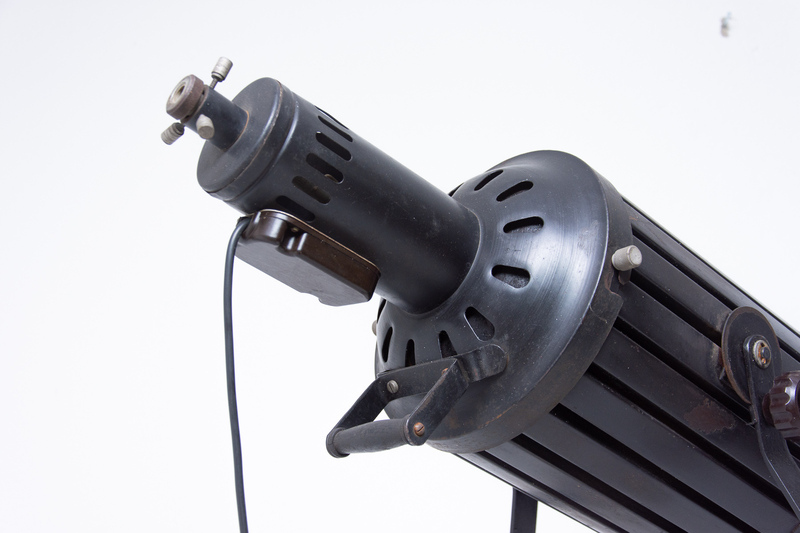 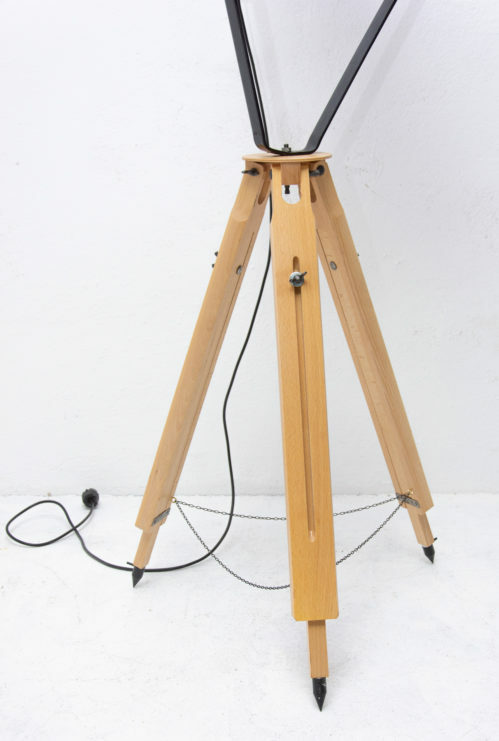 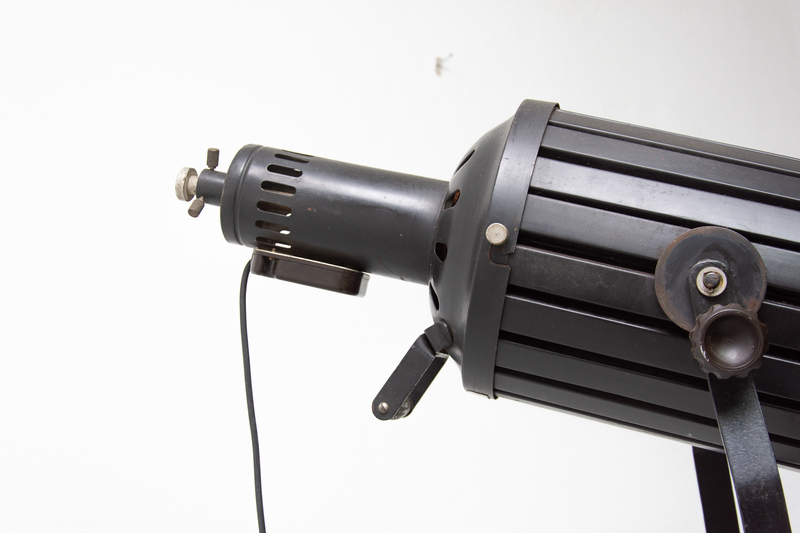 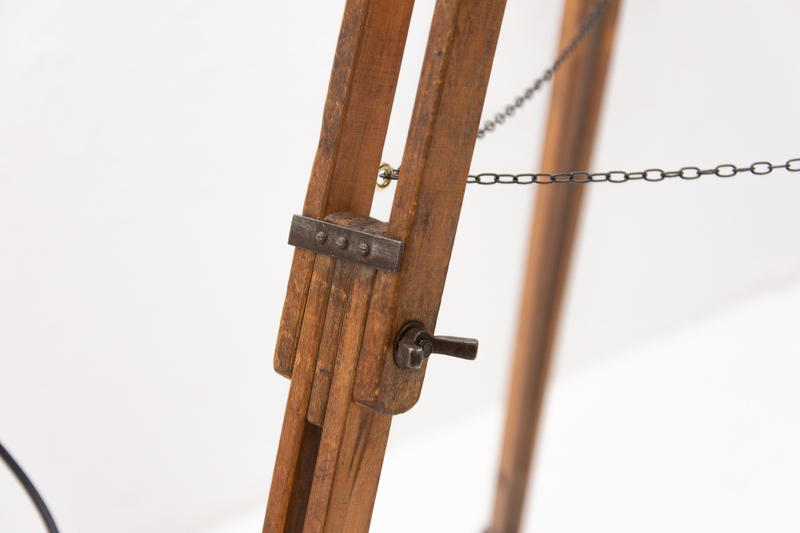 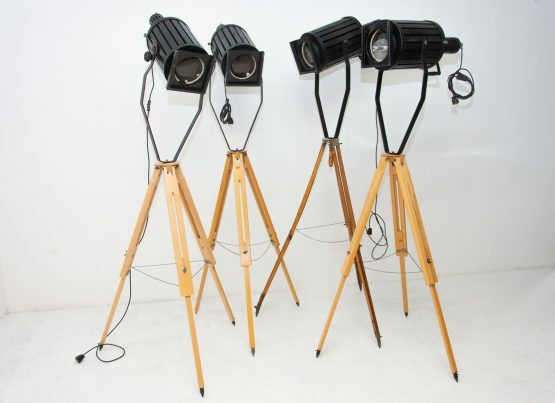 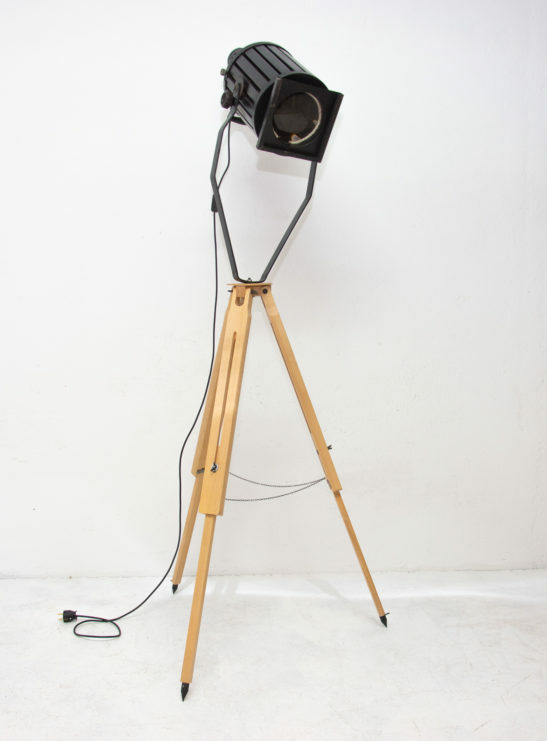 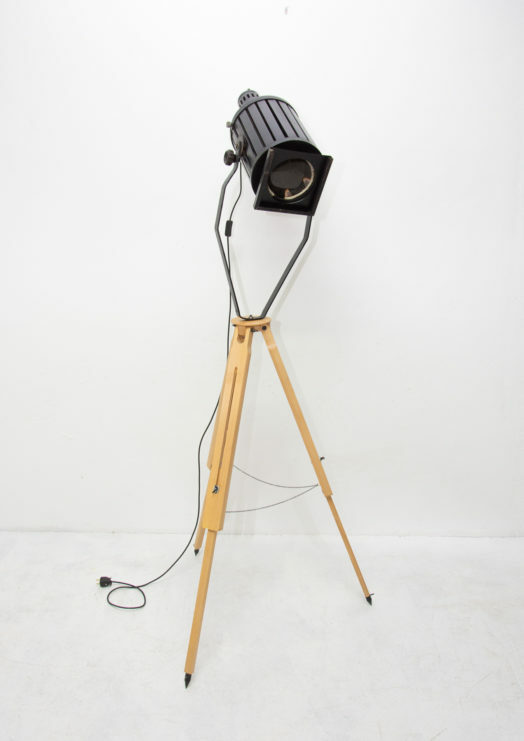 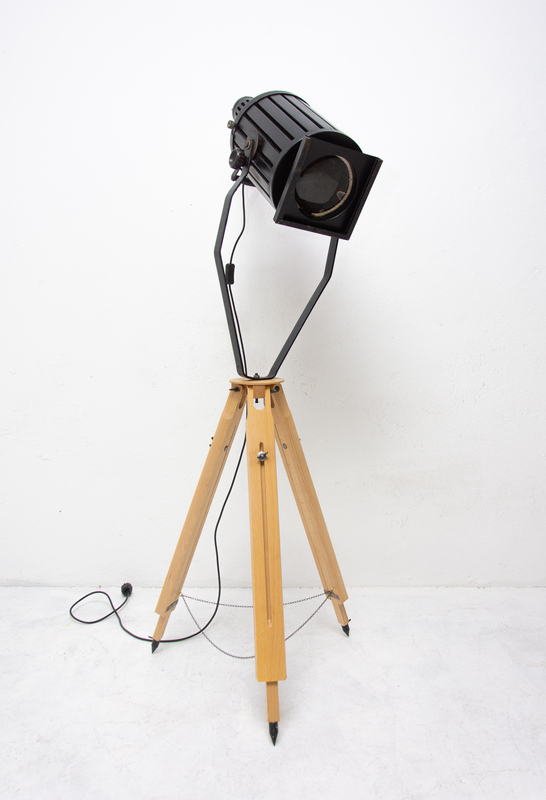 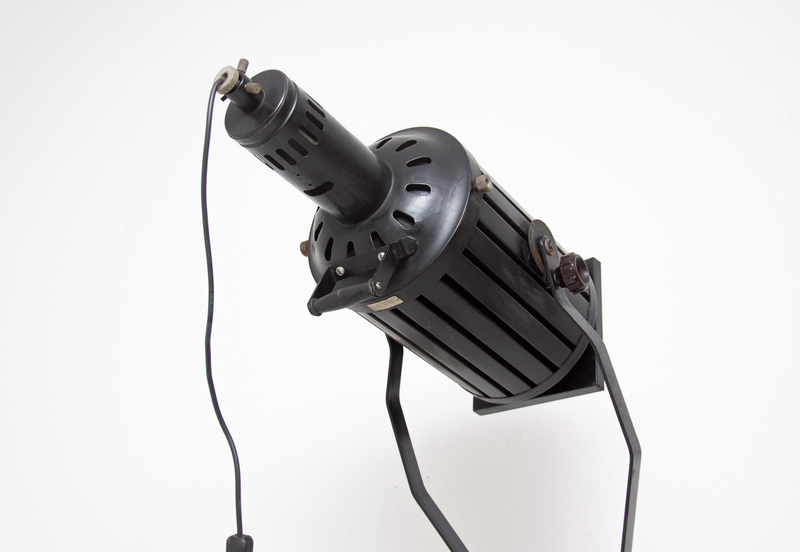 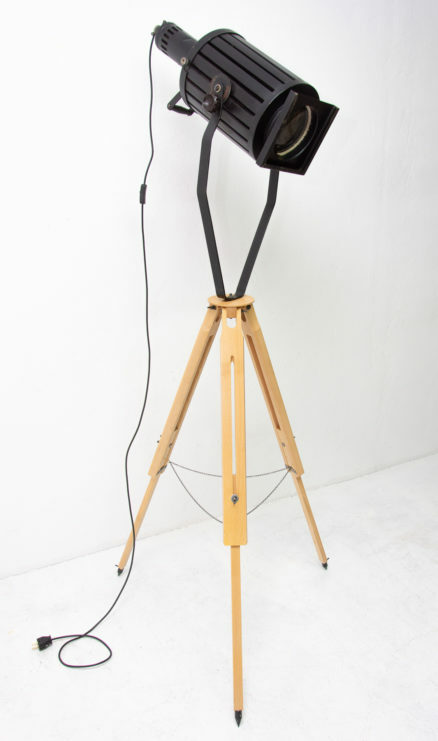 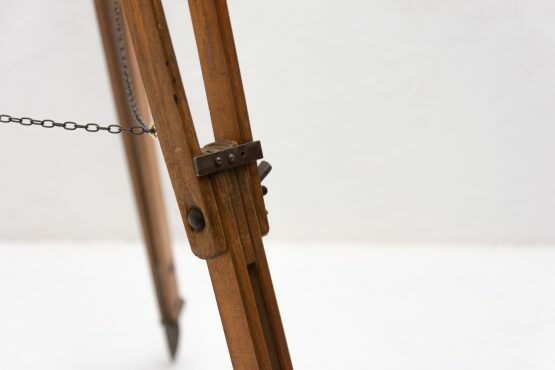 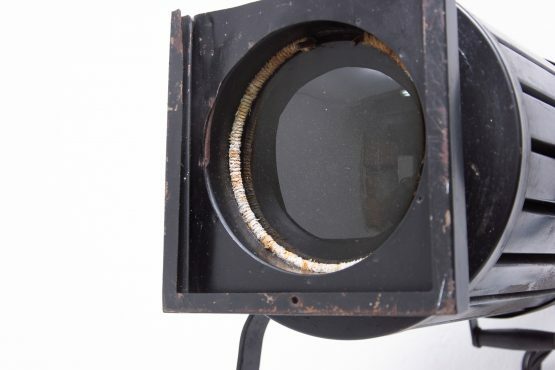 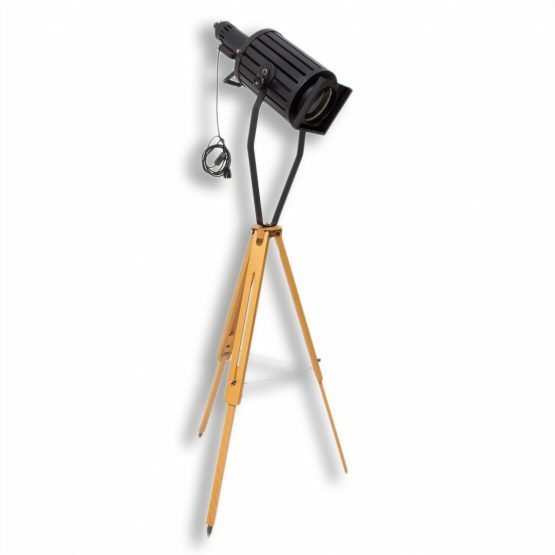 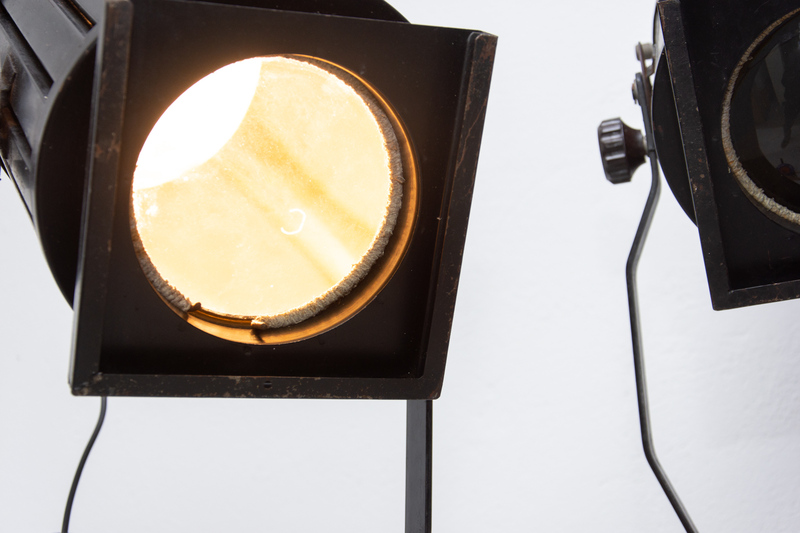 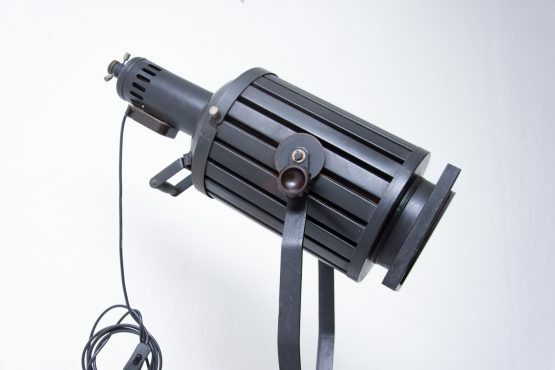 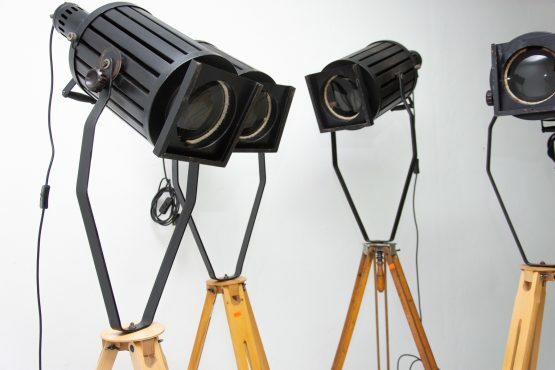 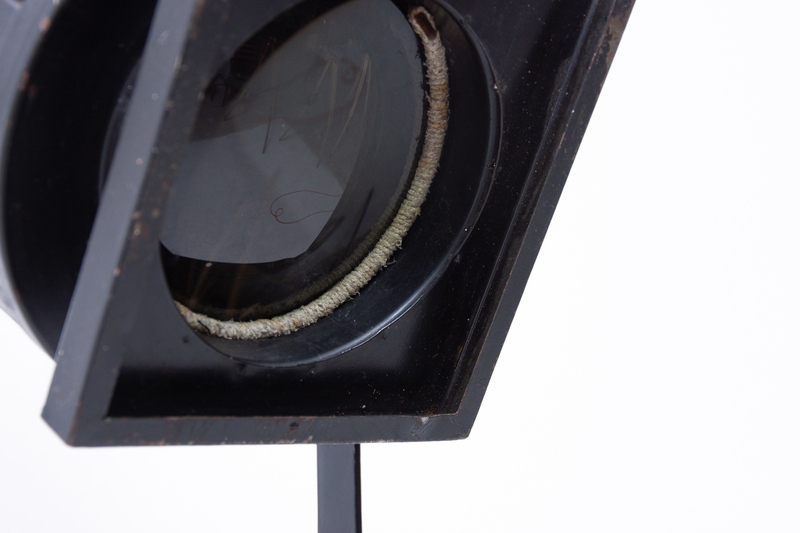 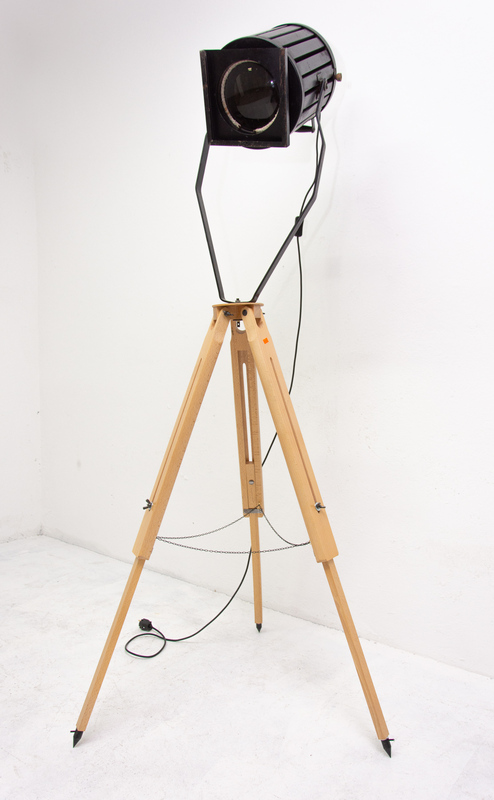 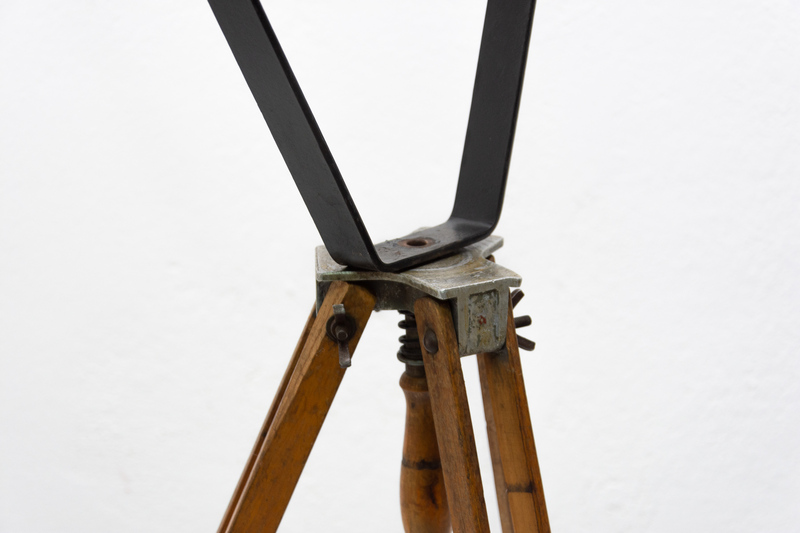 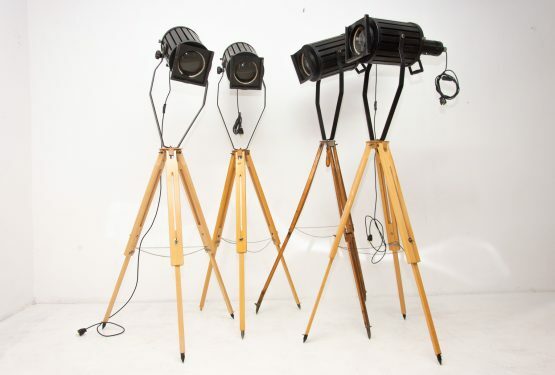 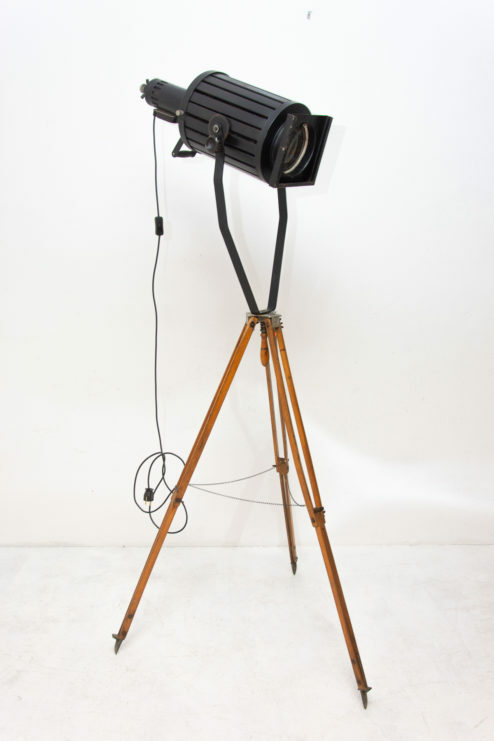 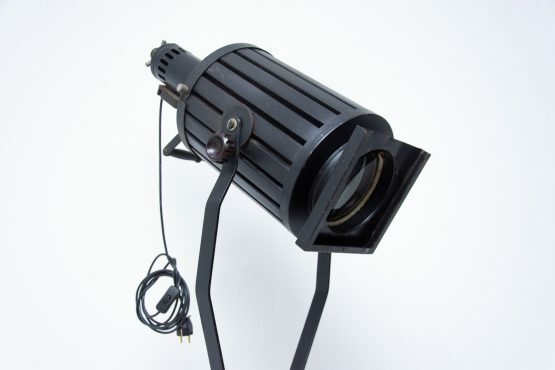 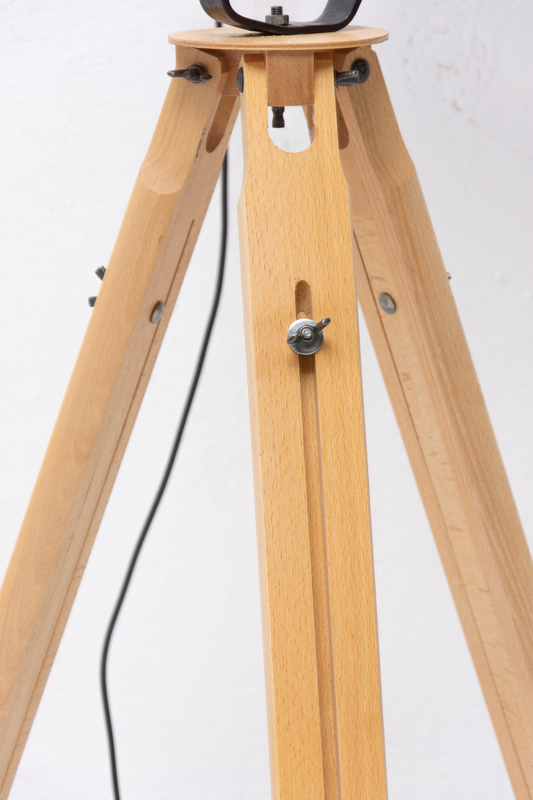 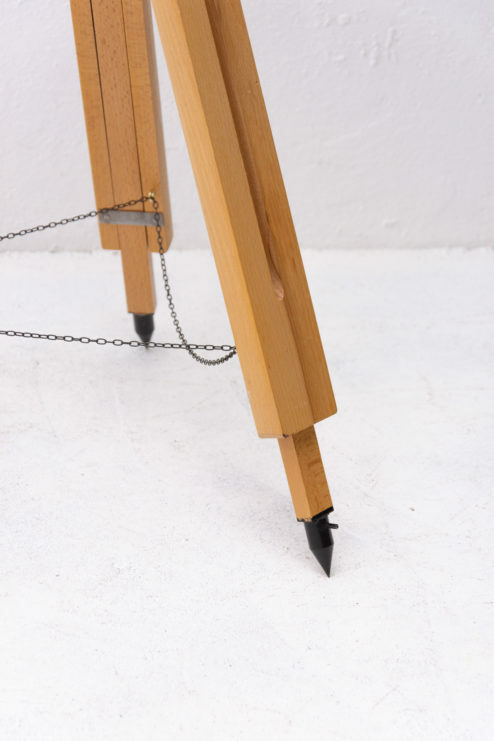 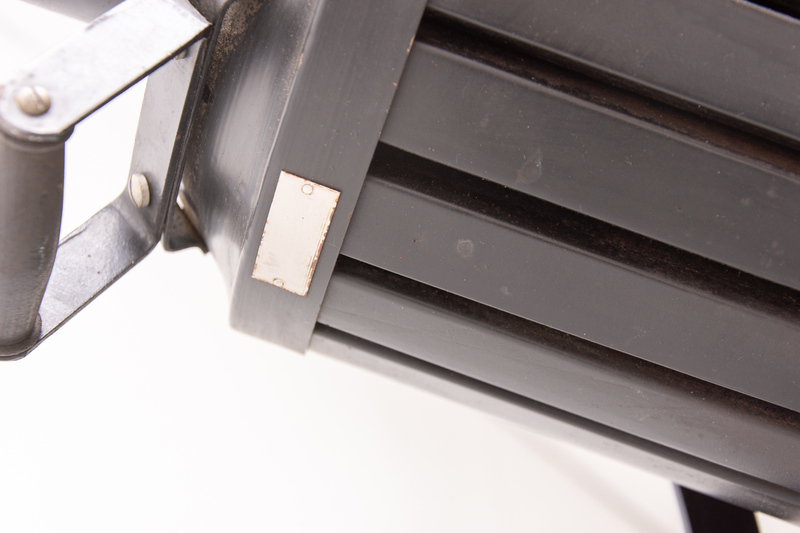 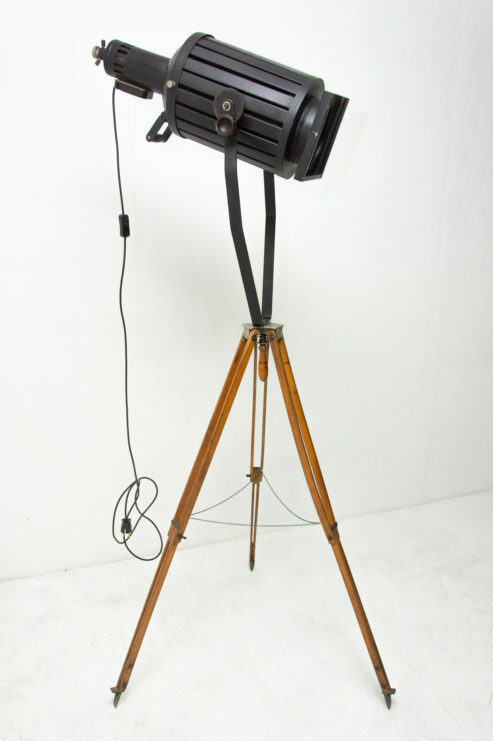 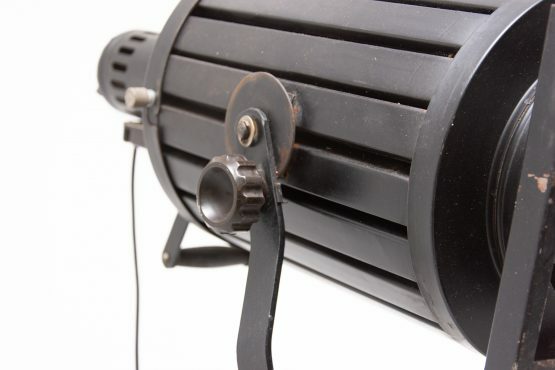 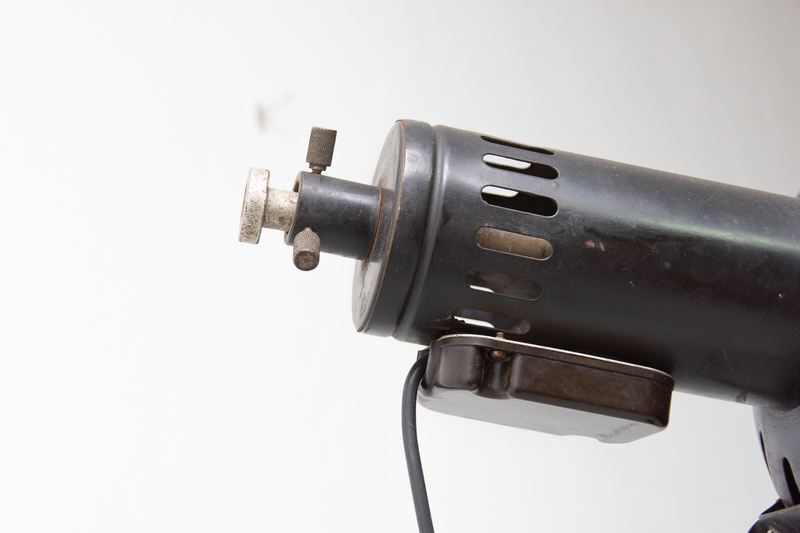 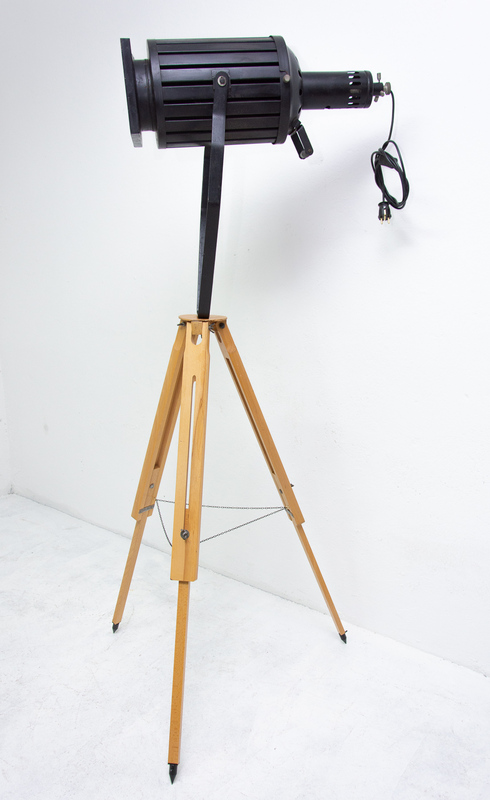 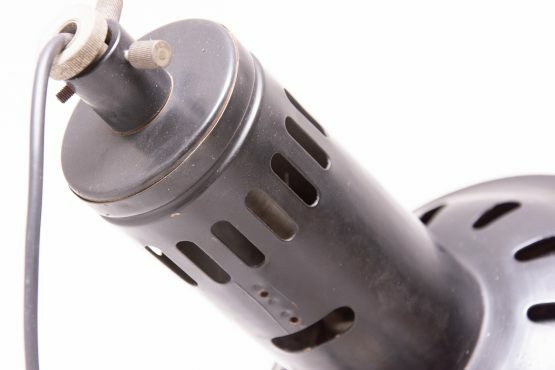 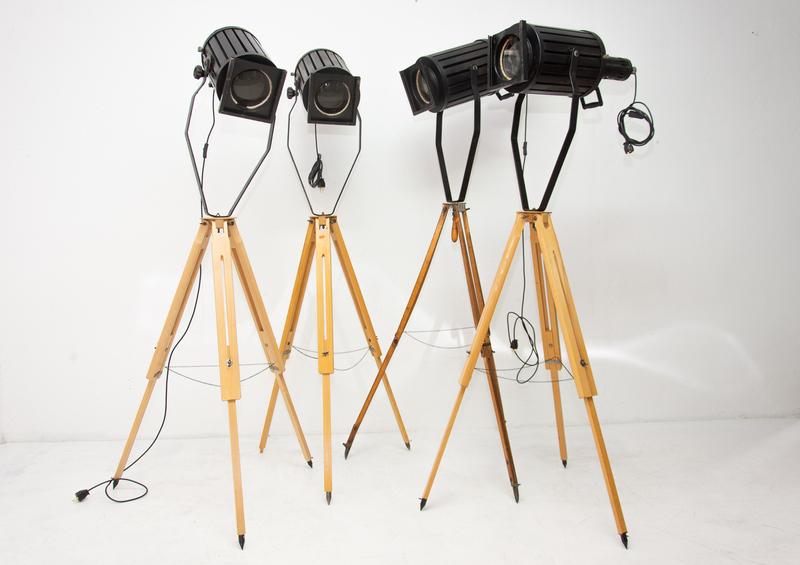 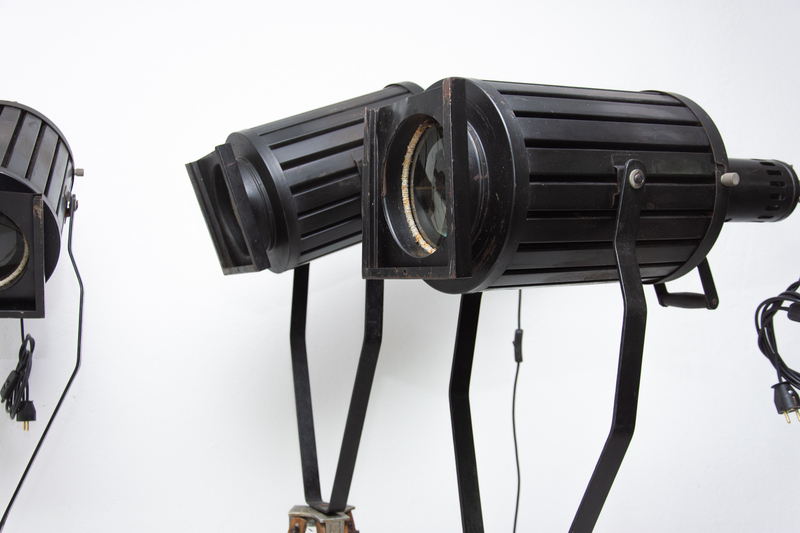 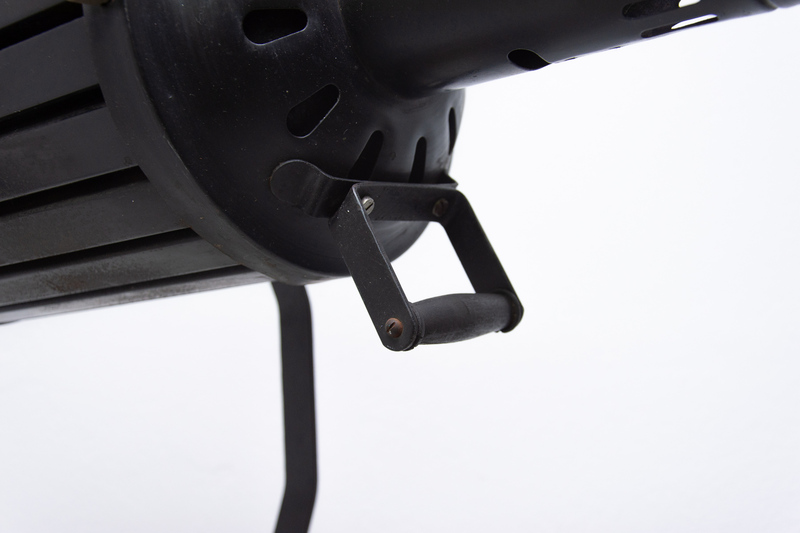 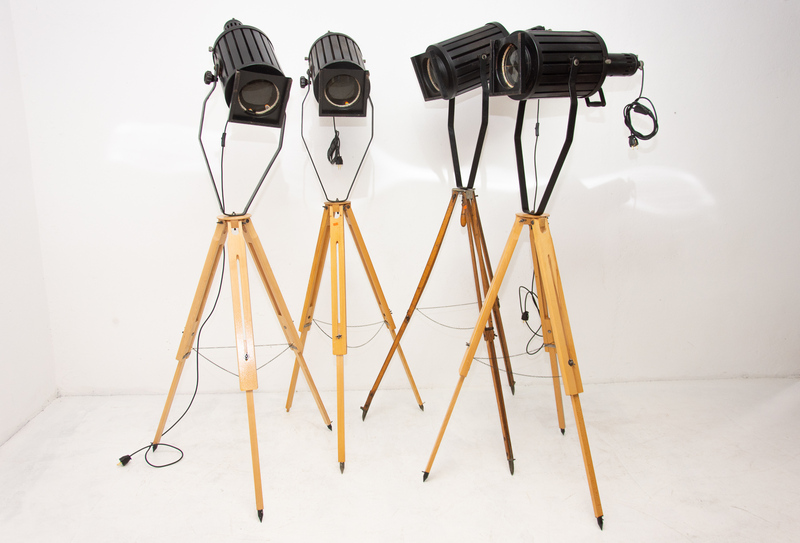 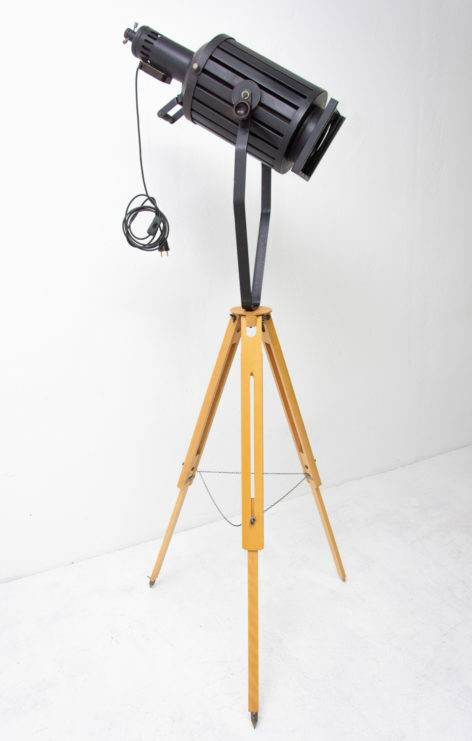 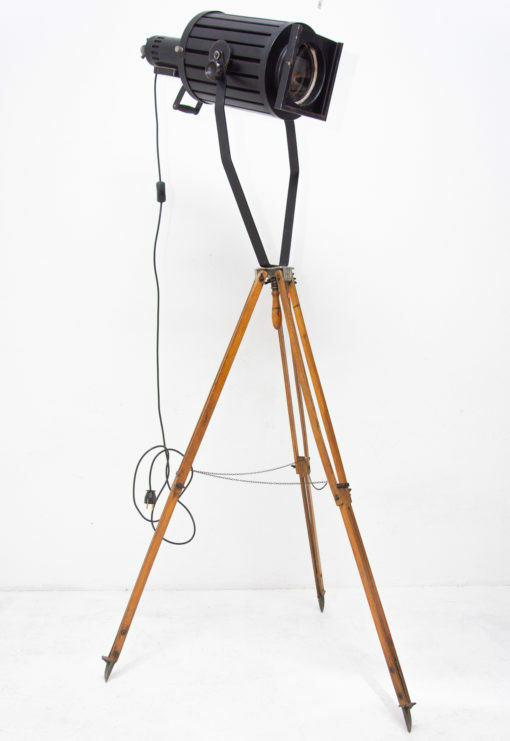 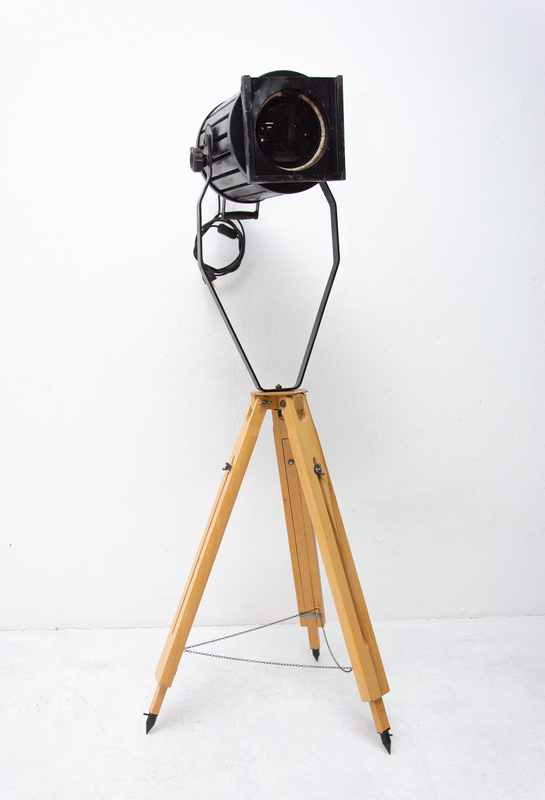 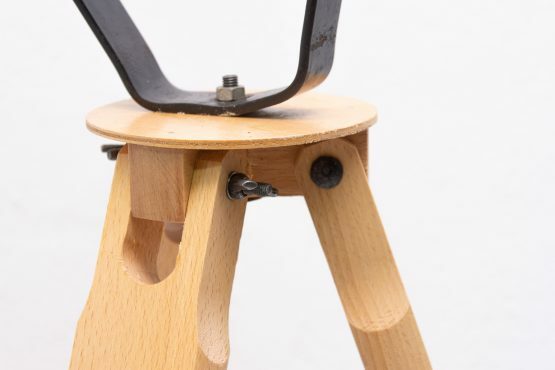 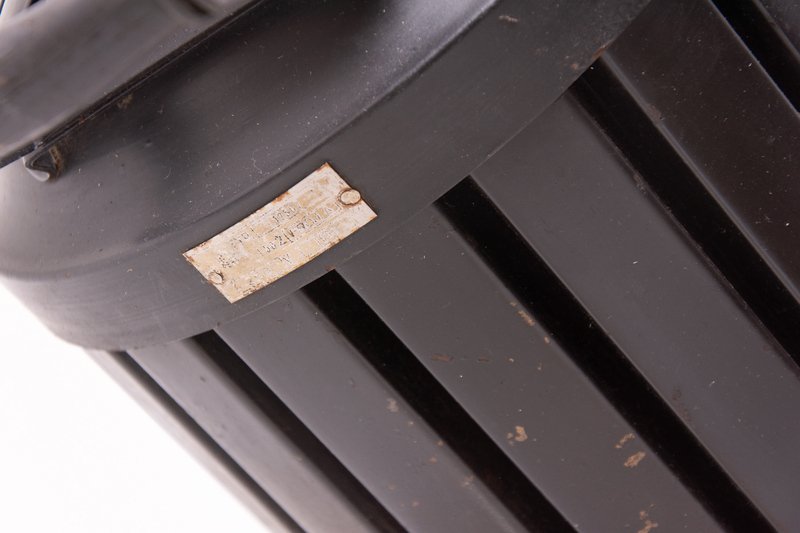 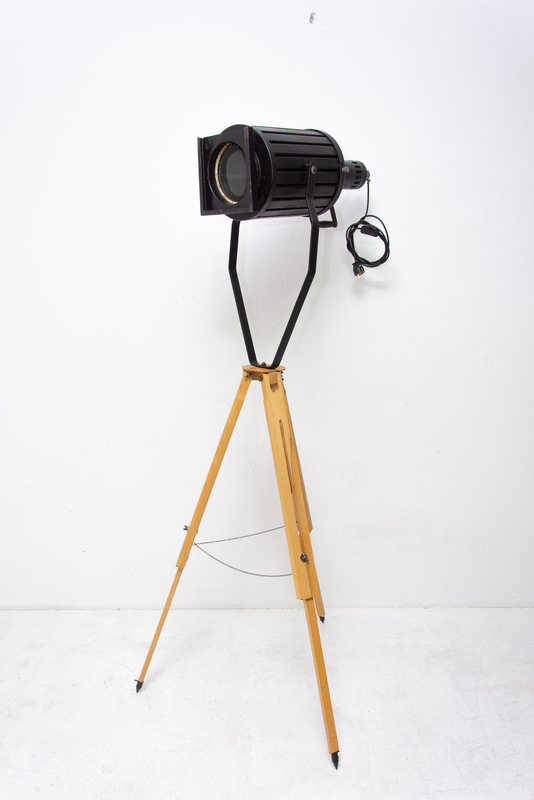 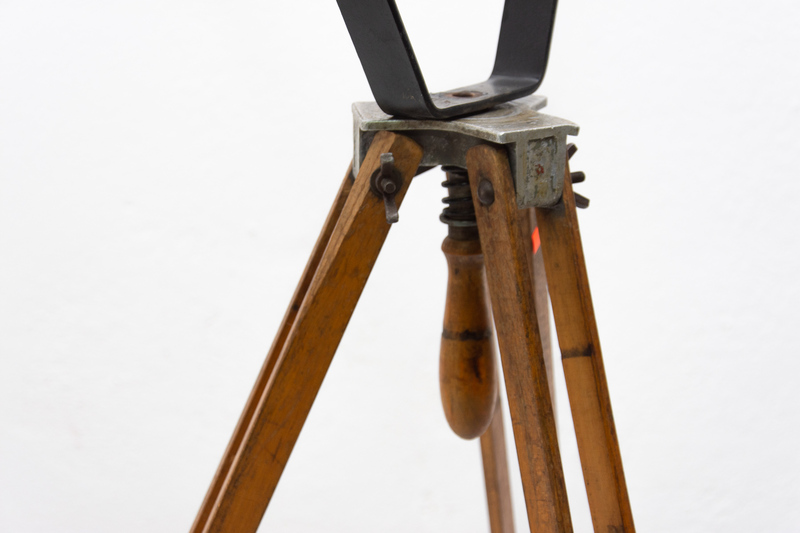 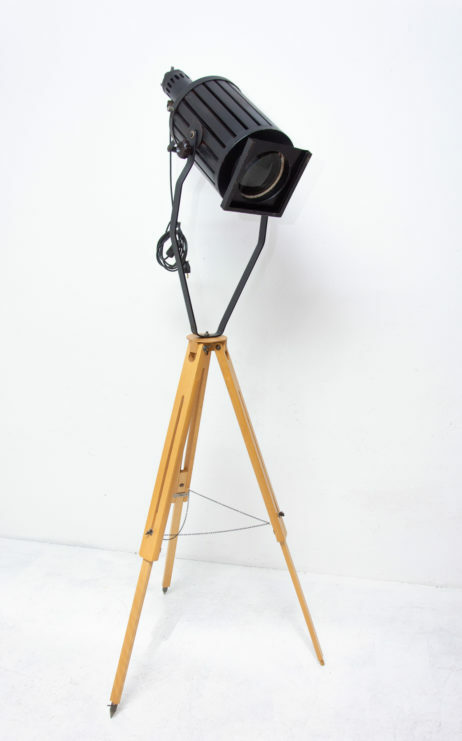 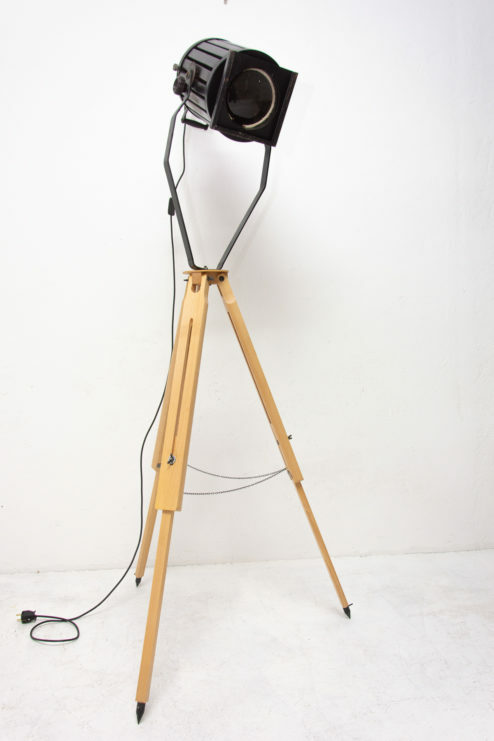 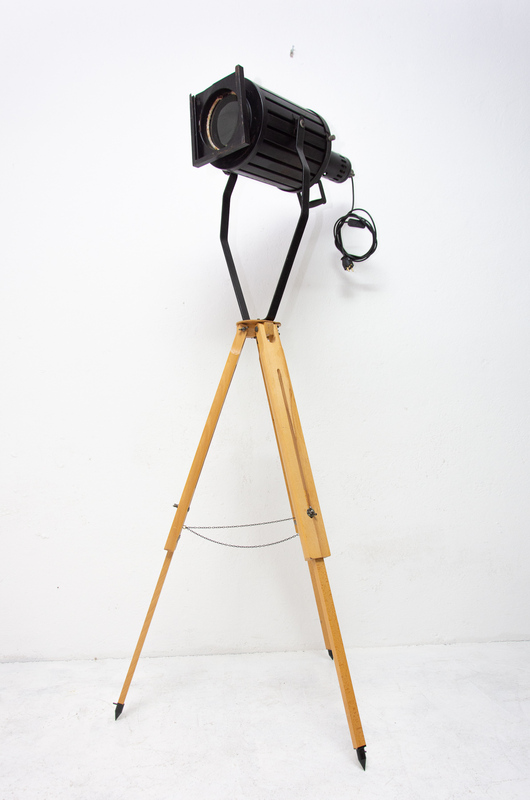 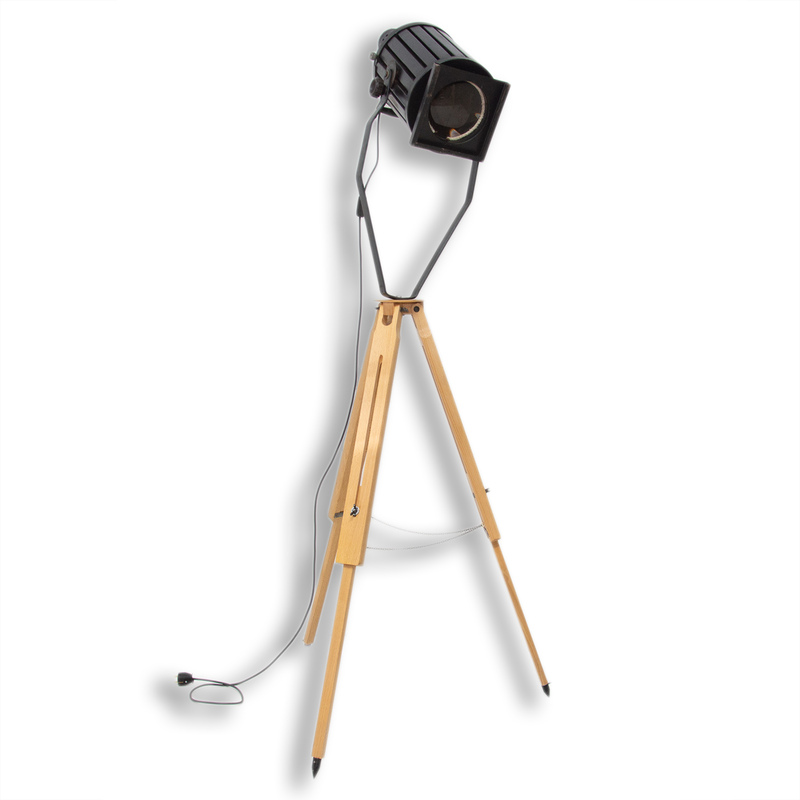 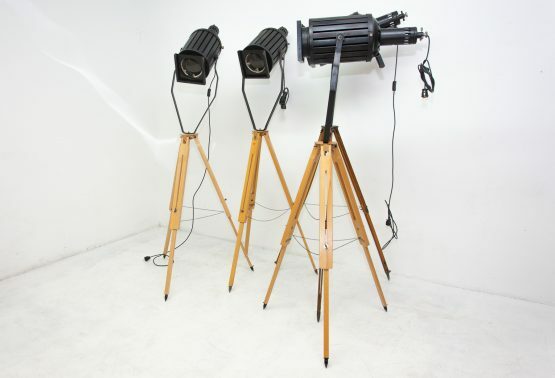 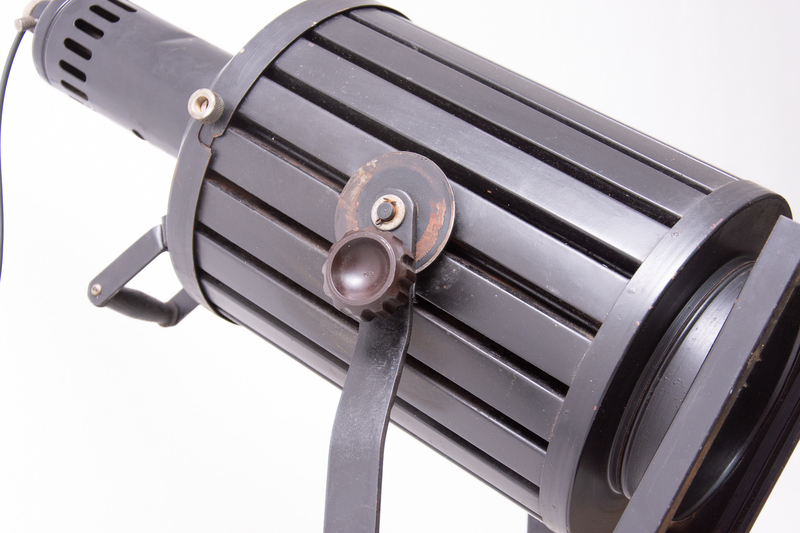 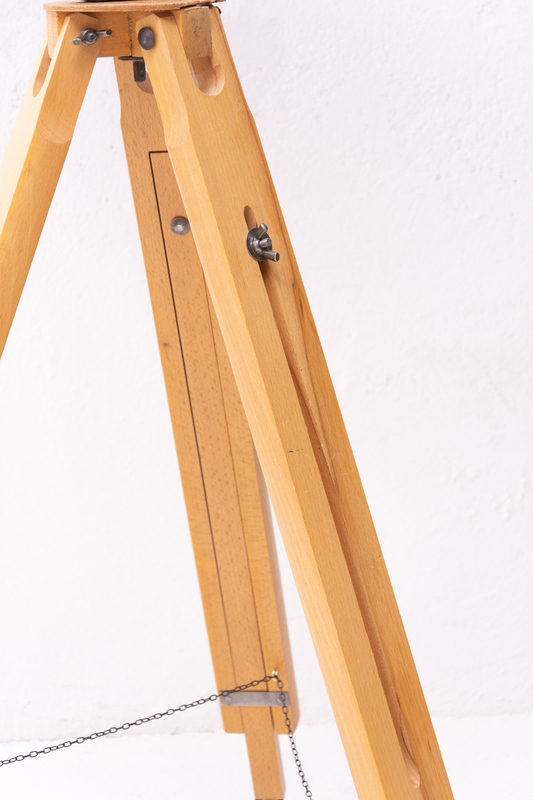 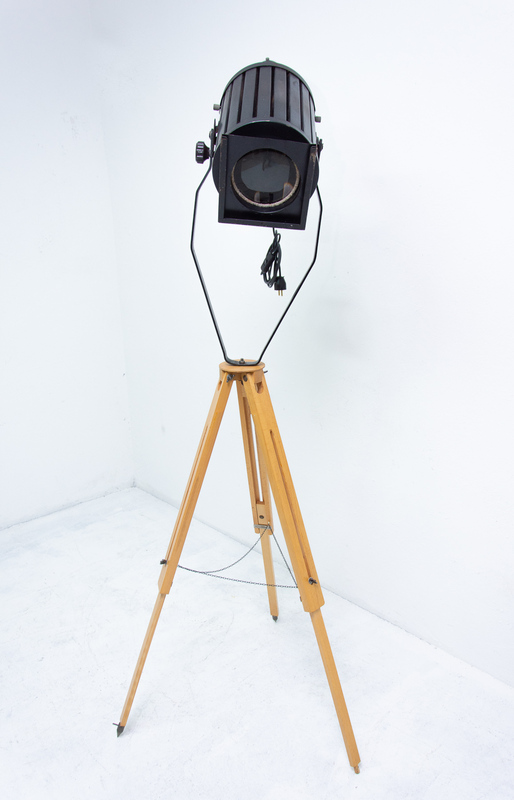 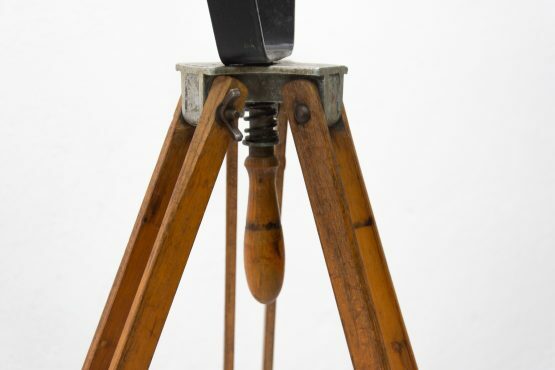 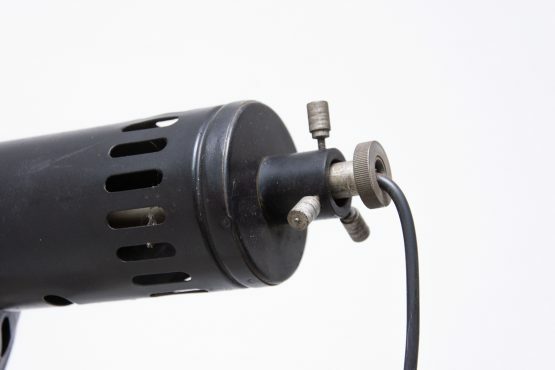 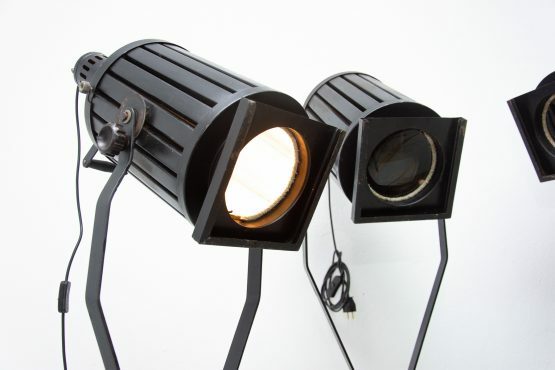 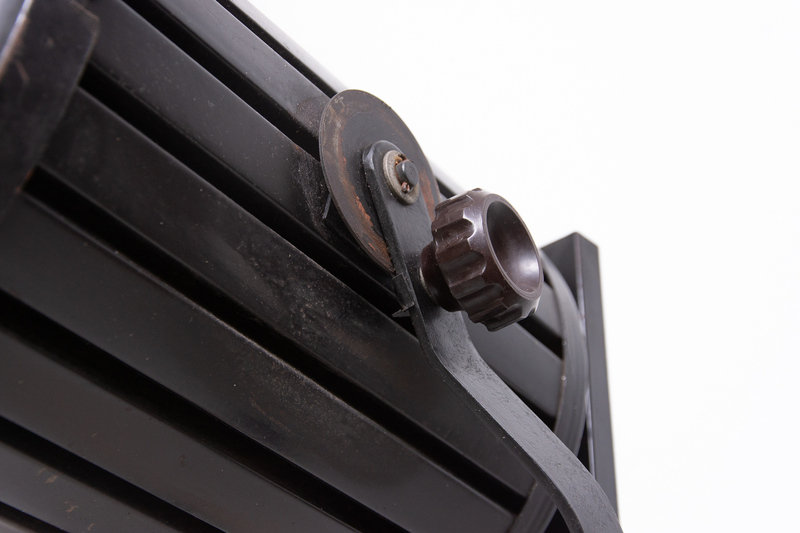 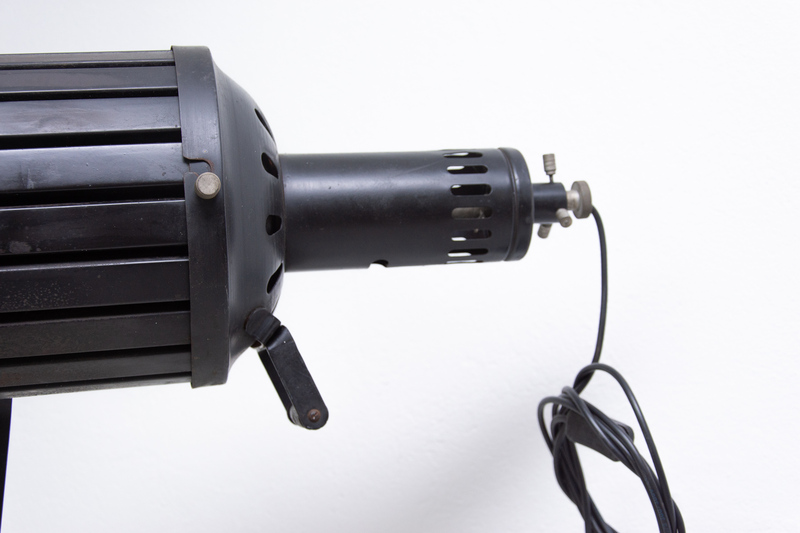 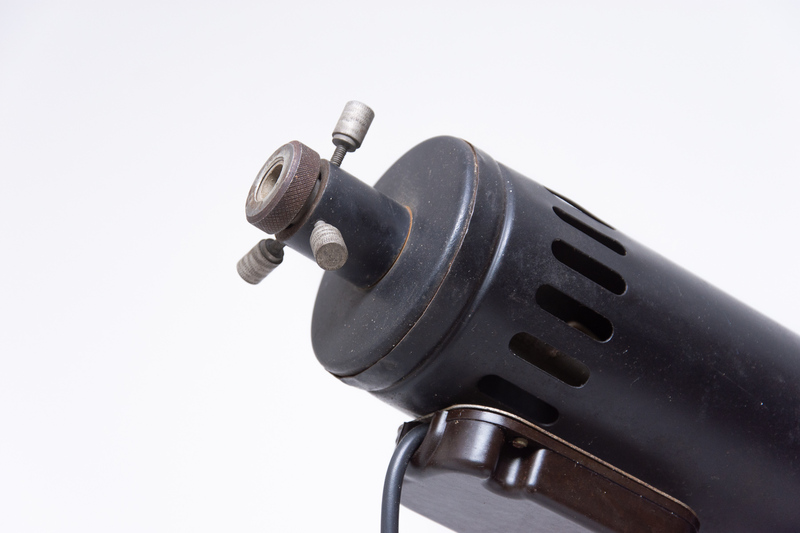 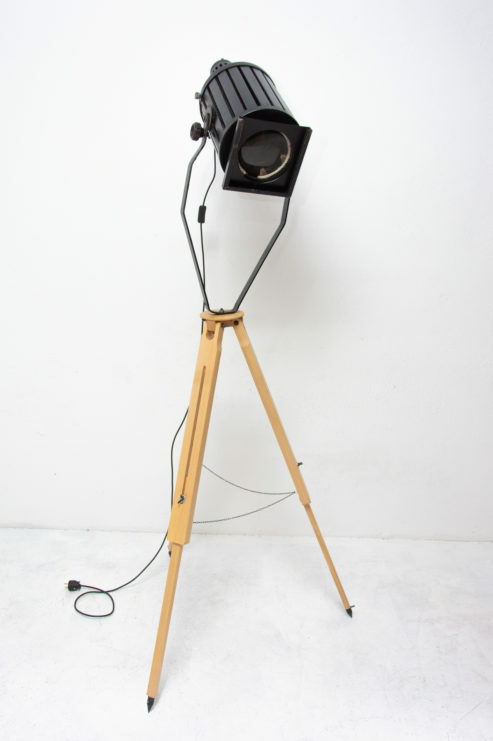 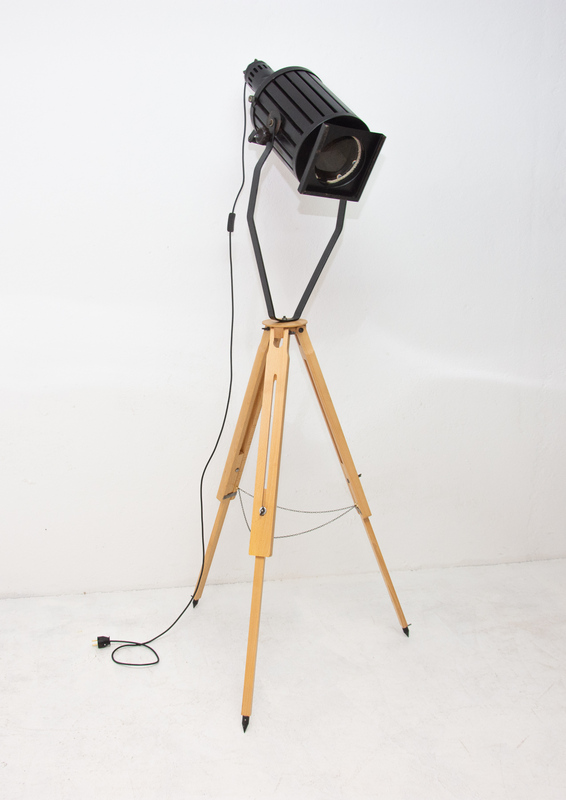 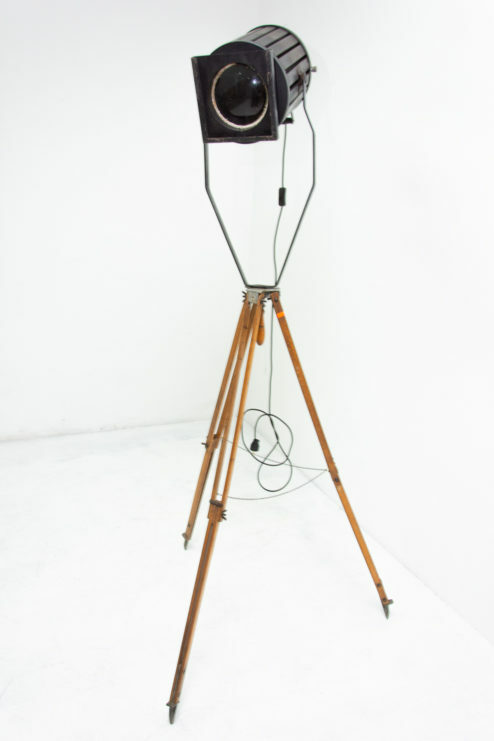 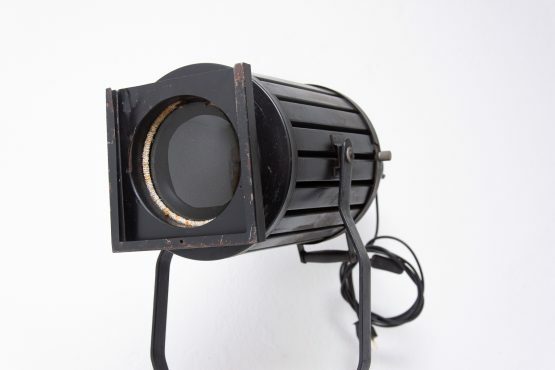 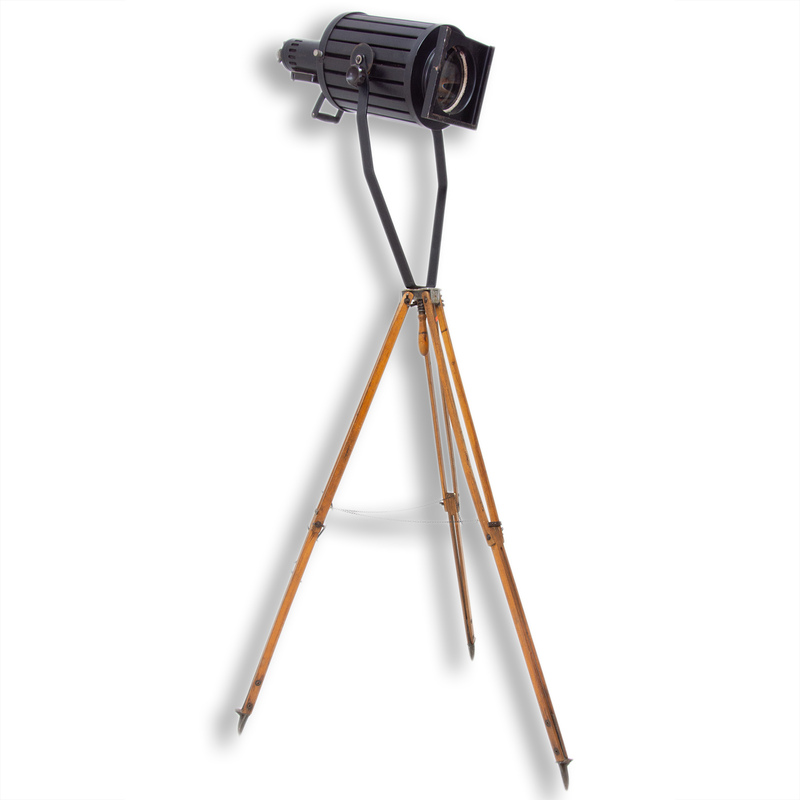 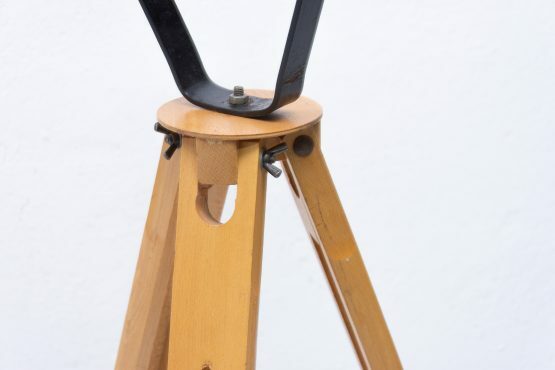 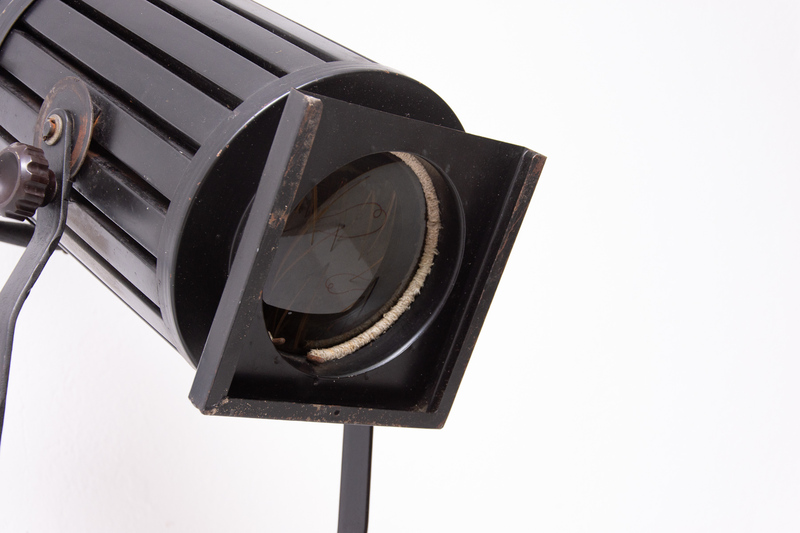 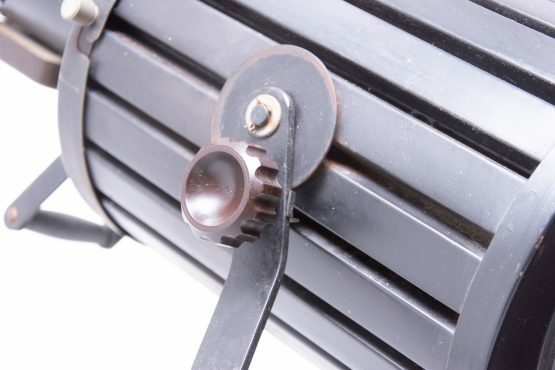 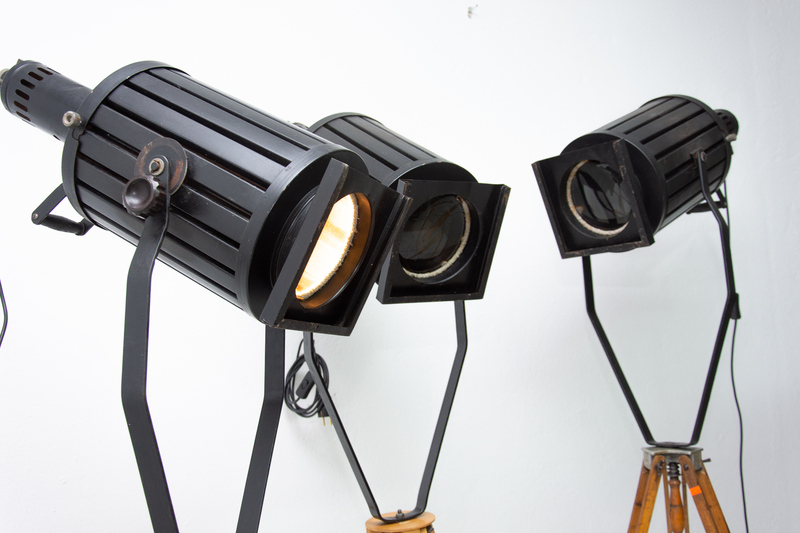 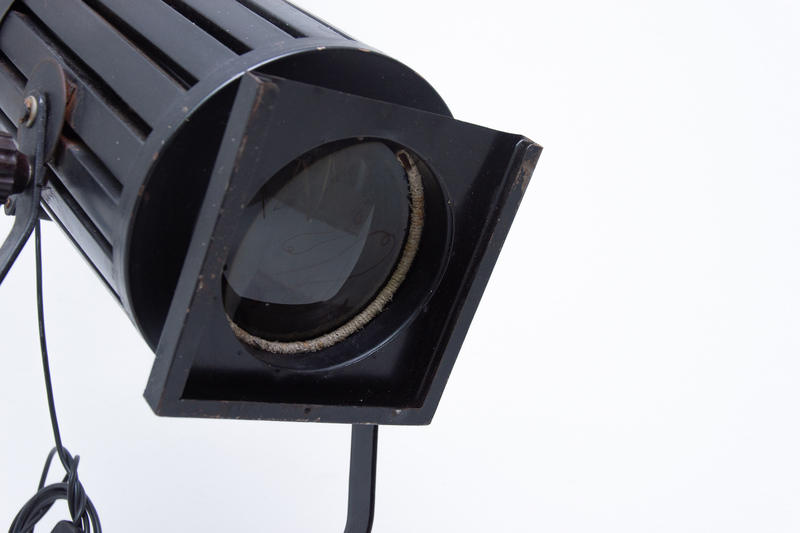 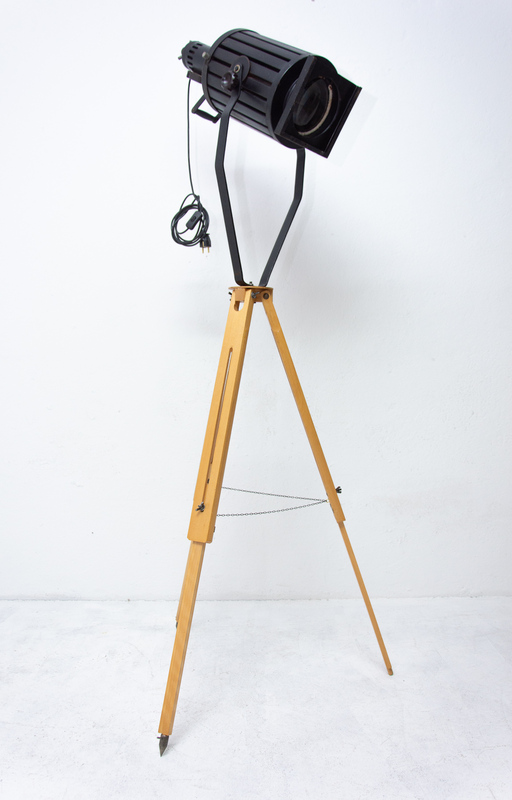 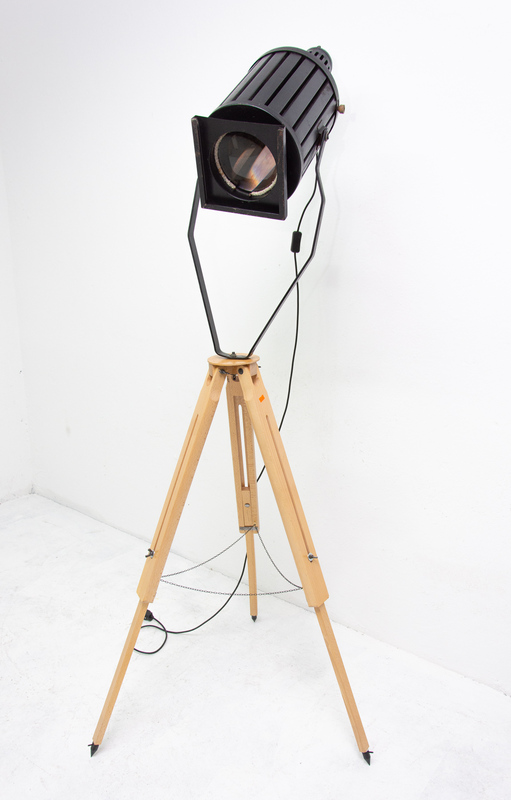 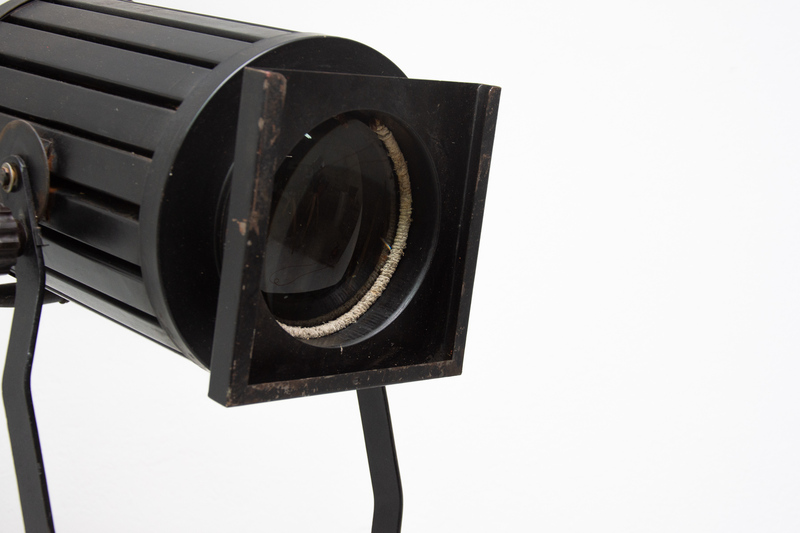 Set of Vintage Industrial spotlights on a wooden tripod. 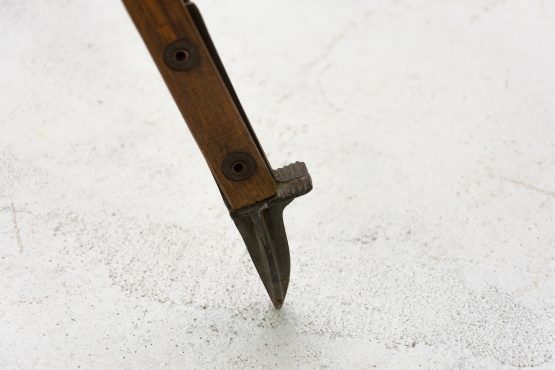 They were made in the former Czechoslovakia in the 1960s. 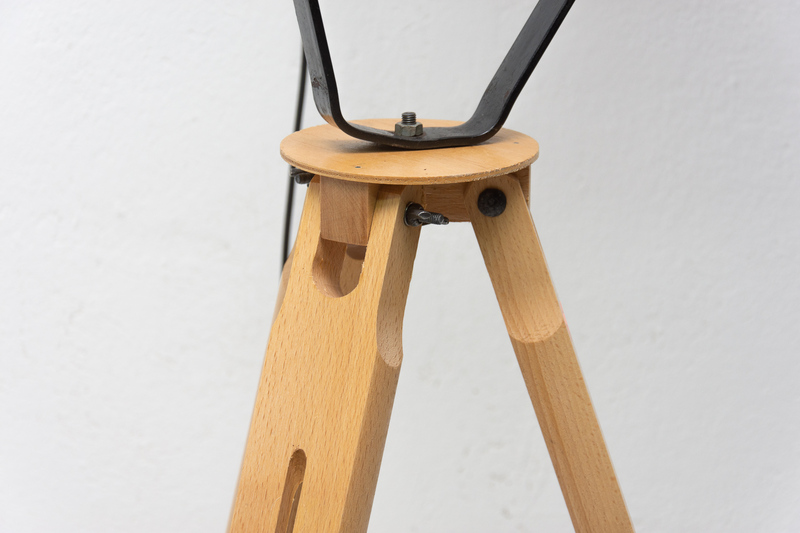 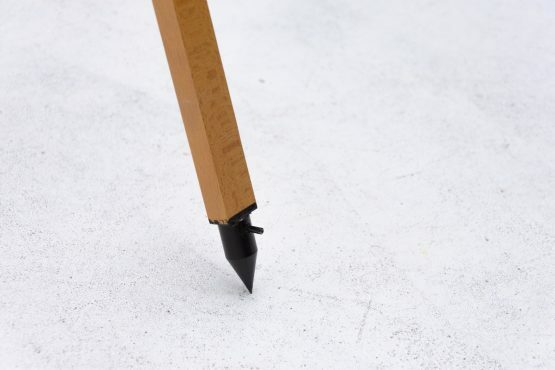 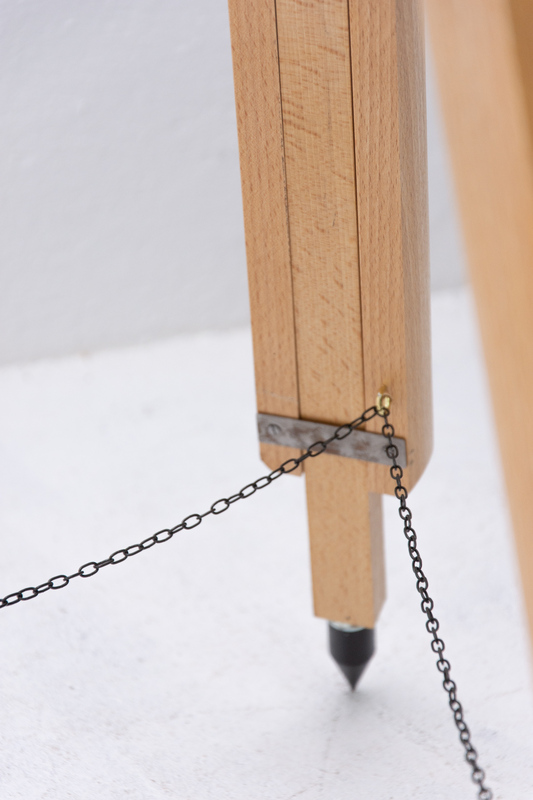 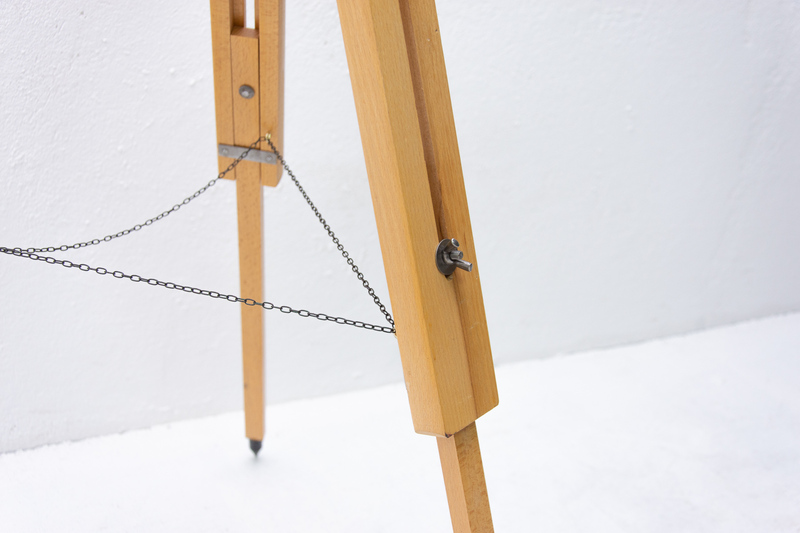 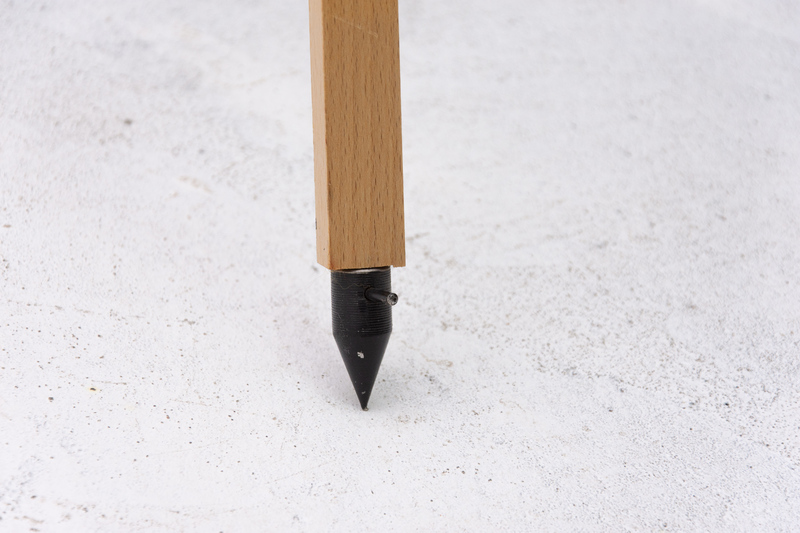 Adjustable height and angle. 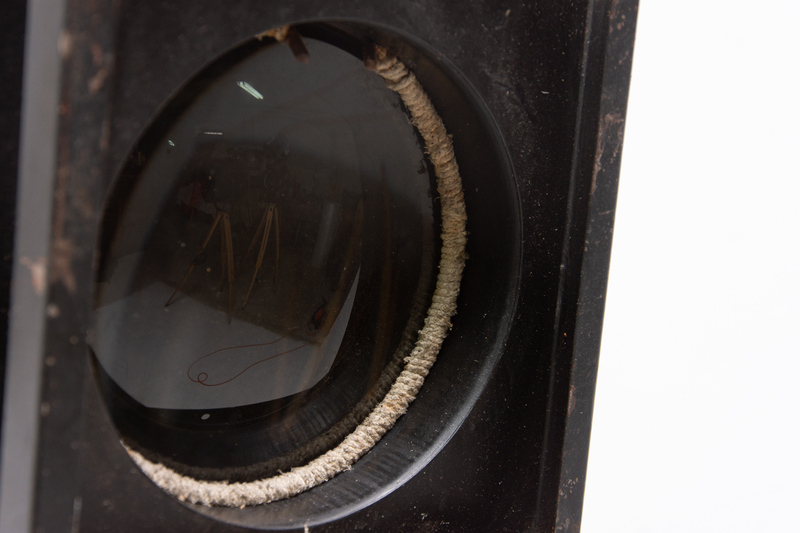 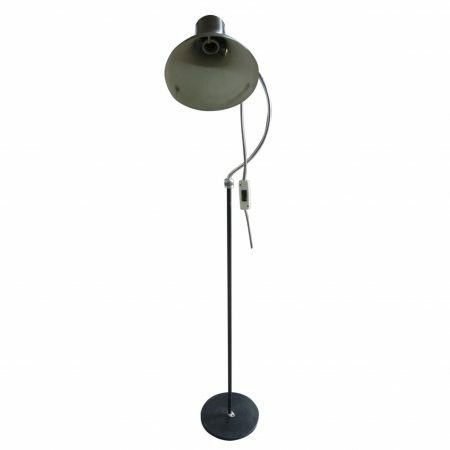 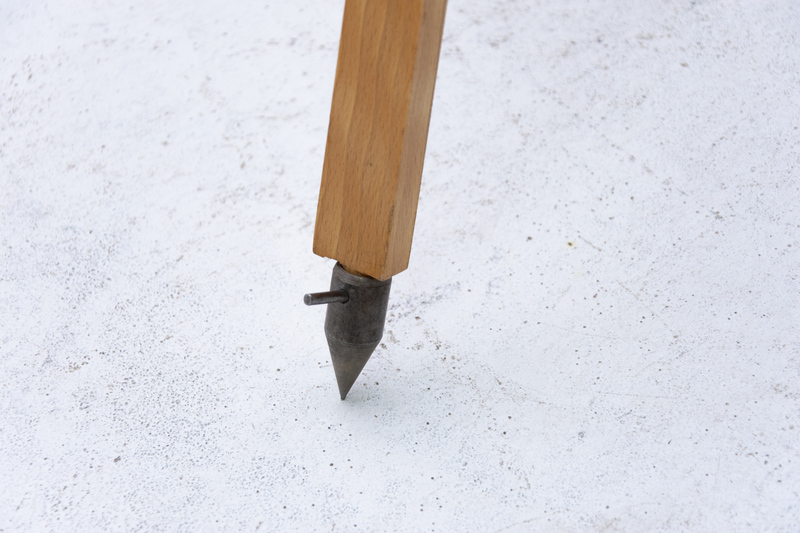 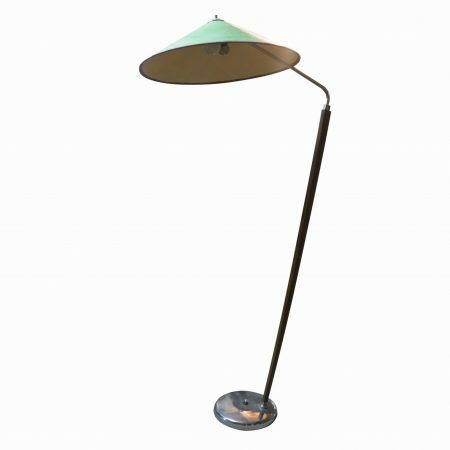 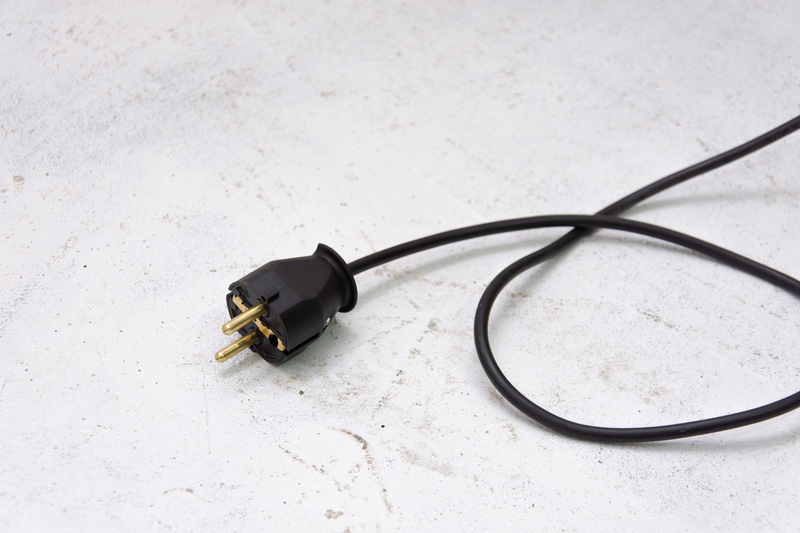 It features an original large rounded shade. 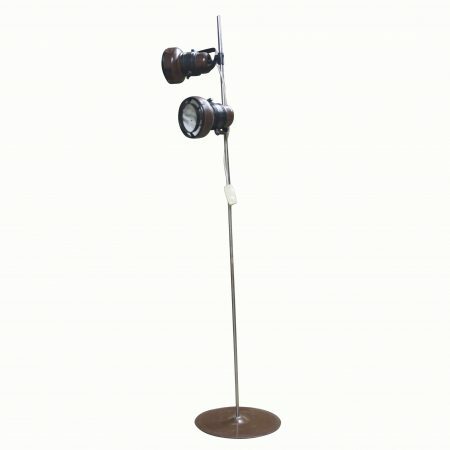 Provides a high level of lighting. 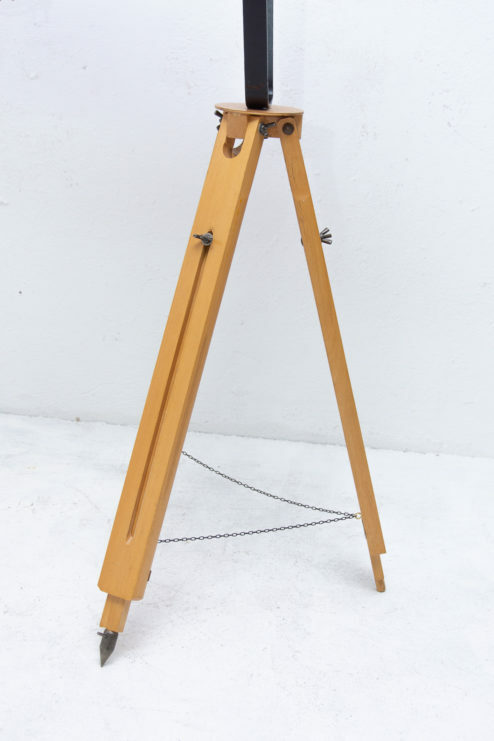 An outstanding and attractive model. 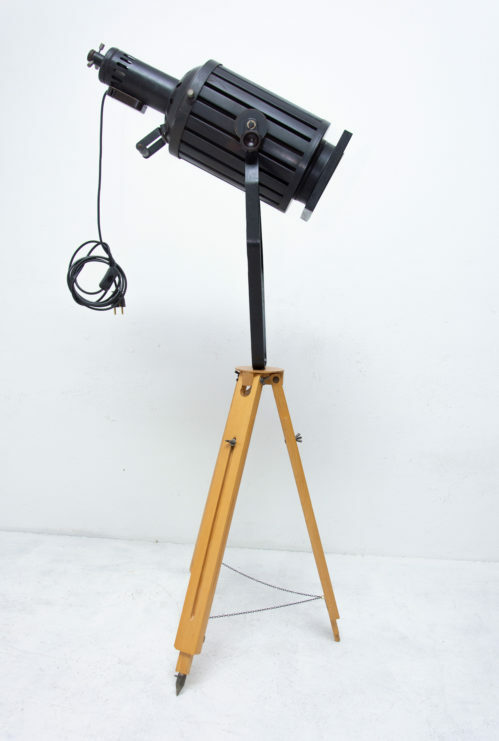 To be used for movie production. 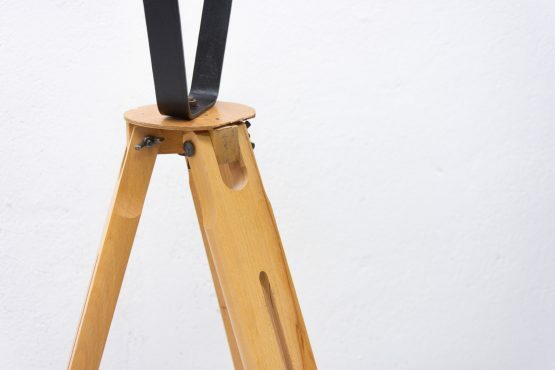 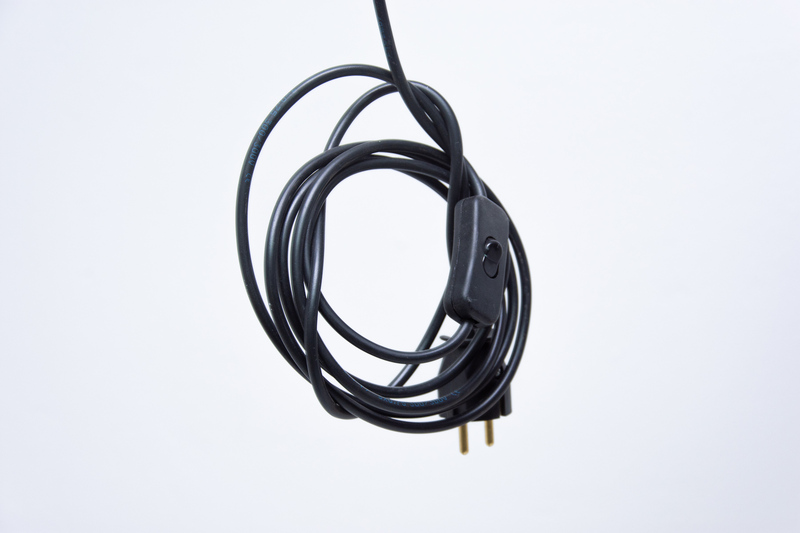 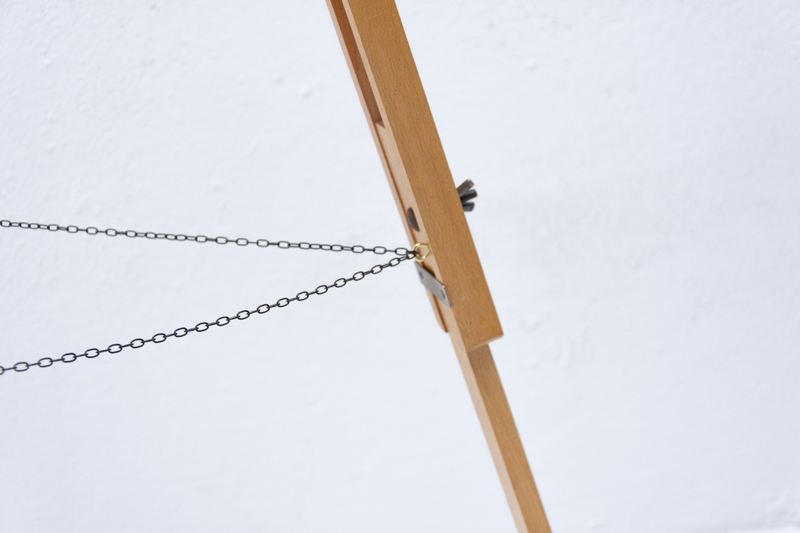 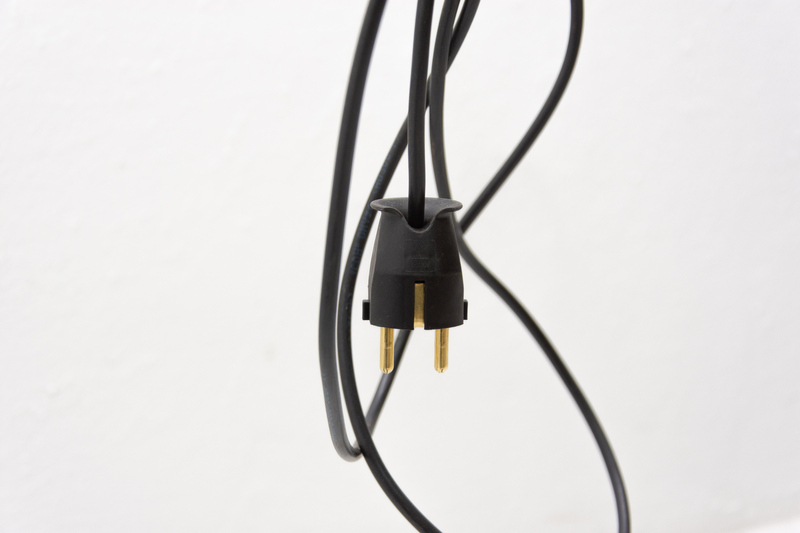 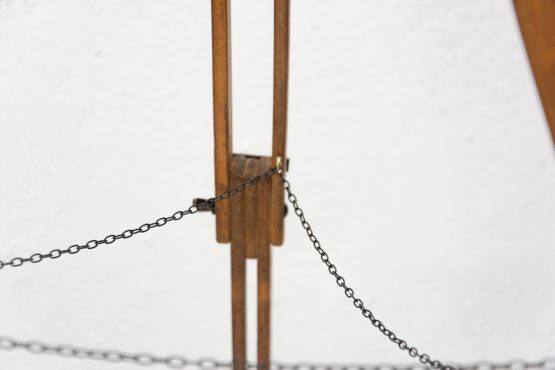 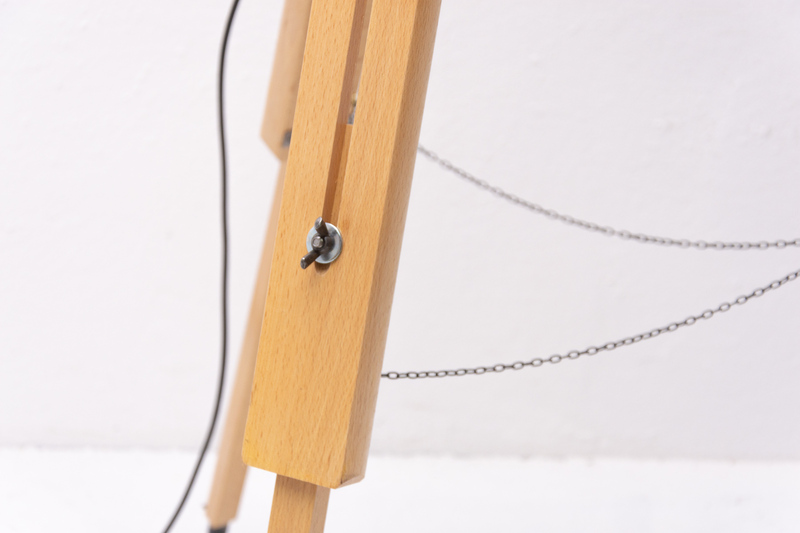 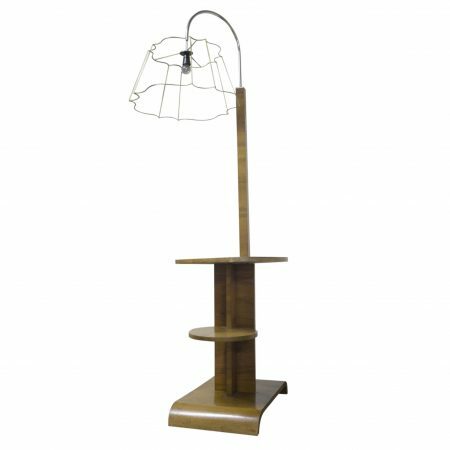 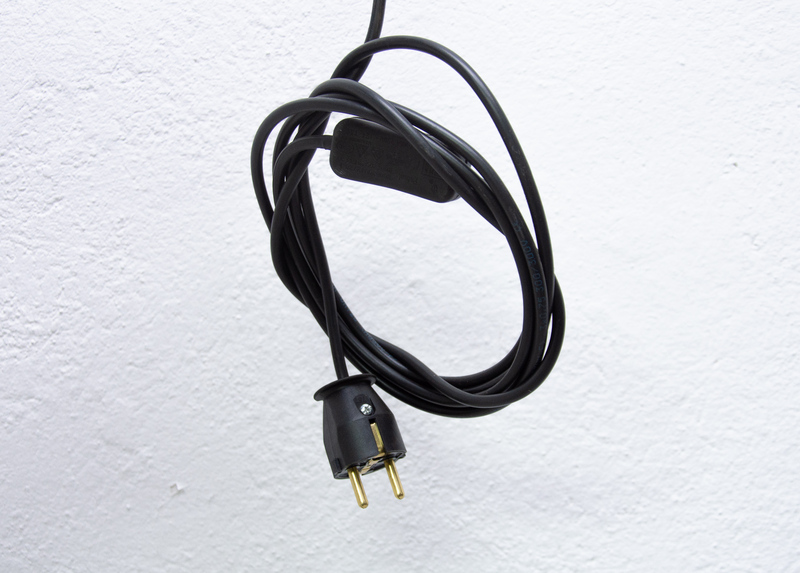 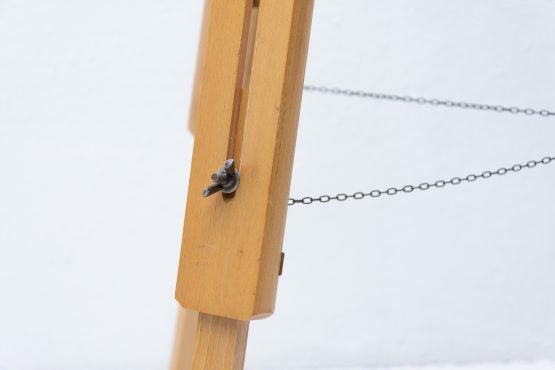 Adjustable height up to 180 cm. One large E40 1000 W bulb.